“Whatever you focus upon expands,” is something we say in NLP circles. Does that mean if you ‘focus’ on being happy you will have more happiness? We’ll yes. As long as your focus is on all the things that make you happy; instead of the aspects of your life that don’t. So how does that really work? We can change our focus by getting off our RAS! 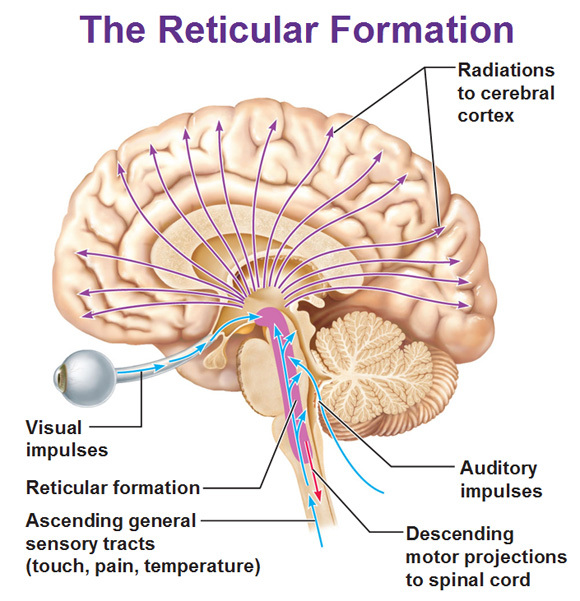 The catalyst to focus is your “Reticular Activating System” or your “RAS.” It is the name given to part of the brain (the Reticular Formation and its connections) that arouses and motivates you. The RAS in essence, determines how you view yourself and the world around you. It is situated at the core of the brain stem between the myelencephalon (medulla) and metencephalon (midbrain). The RAS is that little bundle of cells you have in the back of your brain known as the “control centre.” It serves as the filter for what enters your conscious and unconscious mind. This makes sense why after watching a horror movie, the darkness takes on a more sinister aura. According to Mihaly Csikszentmihalyi in his book, Flow: The Psychology of Optimal Experience, “We filter around 2 million bits of information per second down to 7 plus or minus 2 chunks of information.” In other words, the data available to your central nervous system goes through a process of deletion, distortion and generalisation. Today with the regular bombardment of sensory data, your RAS helps you to make sense of all the information swarming around you like bees. Our RAS defines how we treat the swarms of data and makes sense why some people always get stung, while others get the honey. Your beliefs and values guide what your RAS focuses upon. Focusing on two or three key areas of business or a singular goal does something special to your behaviour. It triggers your RAS to be on alert. Your brain is assaulted by thousands of messages each second. Everything you see, hear, smell, feel and touch is a message entering your brain. The RAS filters through all these messages and decides which ones will get page one treatment – that is, arouse the brain. One of the things we’ve learned from working with students in our NLP Practitioner Training program, is that you tend to pay attention to the things which are important to you at the time. If your dominant thoughts are about creating a new business, you’ll start seeing other what other businesses do and you will get ideas. You’ll hear conversations about new business models. You’ll pick up ideas relating to new business ventures and even see things around you in a different way and relate it back to business. Your RAS is programmed to determine what is important to you. In other words, the RAS will reject or ignore anything unrelated to your focus and bring to your attention anything that is even remotely related to your focus. This makes sense why starting a new business will often mean that relationships and health for example, take a back seat for some time until the business is up and running. From a practical point of view, this means that, if you want to solve a problem or achieve a goal, keep it top of mind. Think about it, talk about it, write about it and imagine it completed. This is one of the reasons why affirmations can work and why it is important to review your goals frequently. Affirmations simply direct your focus in the area of your desires. They help you to keep focused and paying attention. If you focus on improving a specific key area of your business for example, your RAS will pass through sights, sounds, people and ideas that are related to your point of focus. It is said that simply creating a budget will save you between ten and thirty percent of your expenditure! How can simply budgeting achieve such a task? In other words, if you measure that area of your focus visibly, frequently and attentively, it will likely improve. You may find yourself saying, “I don’t need to spend so much on treats” and your spending pattern improves. Set simple goals and include metrics. Here’s my suggestion: Identify the two to five key measurements and key indicators that are important and essential for your business or your life. Set up an active system to measure and track these indicators. An exercise plan or health plan for example. Talk to your employees or friends about it at every opportunity. Put charts and graphs of these indicators on your wall. Make your interest in these metrics very active and visible. 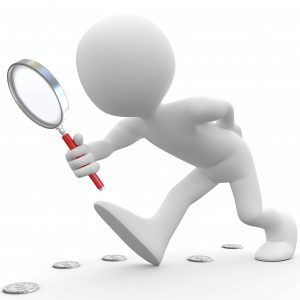 If you set up measurements that indicate if your activities are working or not, chances are, you’ll get what you’re looking for; improvements in these areas. In fact, you can count on it. Last year for example I programmed my RAS (using NLP) to attune my focus towards health. Since then I have lost 9 kilograms (19.84 pounds) and I am fitter and much healthier. I set simple goals; to actively exercise for a minimum of one-hour a day (one metric), take a minimum of 5,000 steps each day (two metrics), and I weigh myself (three metrics), look in the mirror (four metrics) and check in with my overall feelings of well-being (five metrics). From a scientific point of view, the RAS is involved with the sleep/wake cycle and damage to the RAS can lead to permanent coma. It is thought to be the area affected by many psychotropic drugs. General anaesthetics work through their effect on the Reticular Formation. Fibres from the Reticular Formation are also vital in controlling respiratory and cardiac rhythms and other essential functions. The Reticular Activating System has received attention from neuroscientists interested in various pathological conditions affecting behaviour, such as Alzheimer’s Disease. More recently, results of research on the area has prompted extrapolations from the data into various areas such as motivational programmes (for example, Getting Things Done) and Attention Deficit Hyperactivity Disorder (ADHD). The RAS is a structure in the brain stem that is responsible for arousal and sleep. The RAS is responsible for getting you up in the morning and putting you asleep at night – it makes sense then why your RAS awakens you, alerts you like an alarm to those things that are in the forefront of your consciousness. So in closing – set your RAS to what you would like to manifest into your life. Make a decision to focus in an area of your life that you wish to vastly improve. Set up your measurements that tell you that you are progressing and if your behaviour doesn’t change, consider learning or mastering NLP.